Last year nearly 2.5 million people 12 years of age or older sought treatment for substance abuse in the U.S., according to the National Survey on Drugs and Health. 2.3 million Americans obtained inpatient care, and it was reported by the AP that this number is expected to double under the Affordable Healthcare Act. The National Institutes of Health estimates that 15% of Americans suffer the disease of alcoholism, and other estimates run as high as 30%. The National Institute of Alcohol Abuse and Alcoholism reports that, in America, 5-10% of males and 3-5% of women will at some point face alcohol abuse. So serious is the disease that the World Health Organization estimates that 1 in 25 deaths worldwide are the result of alcoholism. There is little argument or question today that substance abuse is a serious problem and a deadly medical condition. But rarely do substance-abuse-treatment centers mention medical, psychological, or pharmaceutical approaches to treatment; instead visitors to websites are almost always greeted with the words, "We are a 12-step based program." 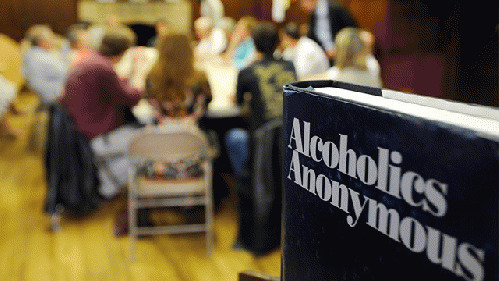 Alcoholics Anonymous and its 12 steps to righteous and disciplined living is the primary core of preferred treatment in over 90% of every outpatient and inpatient facility. Additionally, The National Institutes of Health indicates that 36% of all 12-step-based inpatient treatment is court ordered or referred. The success of this 12-step 'treatment' is so dubious, however, that the AA General Service's own statistics, which obviously wish to portray AA in a positive light, admit that less than 5% of first-time attendees continue after the first year and most relapse multiple times. At best, your odds of staying sober through the 12 steps are perhaps 1 in 19, and the success rate of treatment facilities is even lower. Currently there are no uniform standardized methods for treatment that are required of service providers. Other for than licensed counselors with minimal medical training, there is very little regulation regarding actual treatment methods or requiring the offering of medical options such as Vivitol or Antabuse. 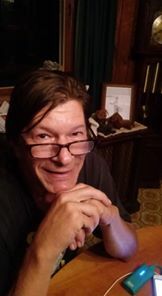 Instead it's a mish-mash of state regulations that are largely administrative, with tougher standards regarding room and board or criteria for patient disclosure than actual treatment. Although most states offer 'recommendations,' they aren't followed and the treatment industry is seemingly trusted to develop their own concepts of 'treatment,' often meeting only the minimum government recommended standard. Let's look at the Wisconsin Bureau of Mental Health and Substance Abuse recommendations for AODA counselors and therapists. The bureau's website states that adequate and complete treatment for addiction should include "Cognitive Behavior Therapy, Motivational Enhancement Therapy, Community Reinforcement Approach, Contingency Management, AA 12-Step Facilitation Therapy, Pharmacotherapy, Biofeedback, Relapse Prevention, and Multidimensional Therapy." While the 12-step method is included, it's only part of the larger treatment plan, but these are only recommendations and not requirements. At most treatment centers it's strictly one size fits all, and that is the AA 12-step-based model. Few rehab centers list psychiatrists or Ph.D. psychologists on staff and many counselors are tech-college graduates with associate's degrees or a B.A. On occasion, you may find one therapist with a master's degree, and it's easy to understand why. According to Indeed.com, the median salary of a counselor with an associate's degree is $34,340, compared with $96,500 for a Ph.D.-level practitioner. A psychiatrist would cost right around $200,000. But, the reality is, you don't need a PhD or a psychiatrist in order to "take a fearless and thorough moral inventory of yourself," as almost all treatment-center curricula consists mainly of learning to regularly attend AA meetings and completing the first four steps before graduating the 28-day treatment program. "Ninety meetings in ninety days," is the catch-phrase most oft recited in rehab. "What we have in this country is a washing-machine model of addiction treatment," A. Thomas McClellan, chief executive of the nonprofit Treatment Research Institute, based in Philadelphia, told The New York Times. "You go to Shady Acres for 30 days or to some clinic for 60 visits or 60 doses, whatever it is. And then you're discharged and everyone's crying and hugging and feeling proud -- and you're supposed to be cured." It's pretty clear then why opportunistic corporations and shrewd investors are preying upon an ignorant public, medical community, and criminal-justice system. Treatment facilities are unregulated, expensive snake-oil salesmen pitching a self-help 'cure' for a medical condition.